This 1949 family home is located on more than an acre of lawns landscaped with camellias and azaleas. 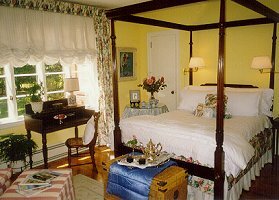 Elegantly appointed with antiques and period furnishings, the rooms are accentuated with coordinating fabrics and fine linens. Cozy robes are ready for your relaxation. Arrive early for English afternoon tea. Turn down service is accented with chocolates. Awaken to a silver tray of coffee or tea and the morning news at your door. A full southern gourmet breakfast served in the dining room may include sherried fruit, cheese stuffed French Toast, luscious Eggs Benedict and warm Yam Bread. Myrtle Beach golf courses begin four miles from the Inn. Beaches, outlet shopping, entertainment and restaurants are 25 minutes away. 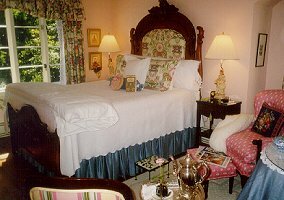 This and other Tabor City Bed and Breakfast Inns can be found here in The Register.